Patrina uses strategic design thinking to solve communication challenges. She leads our creative team in turning innovative ideas into visual solutions, such as digital experiences, intranet sites, corporate publications and branding/corporate identities. 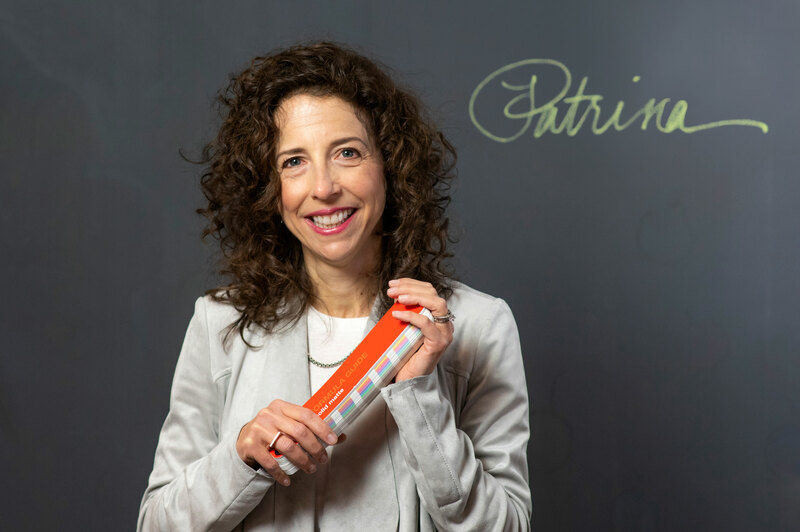 Before joining Davis & Company, Patrina spent 25 years as a design consultant and worked for clients, such as PepsiCo, Alcoa, Heineken and Sony. Patrina holds a Bachelor of Arts degree in graphic design from the Rhode Island School of Design and has also studied at the Basel School of Design in Basel, Switzerland. Designing the branding and communication materials for ChangeALife Uganda—a non-profit focused on improving the lives of Ugandan children through education, healthcare and microfinance—has been extremely fulfilling. I am inspired by clear, simple solutions to complex problems and the people who create these solutions. I was an ice cream scooper at a family friend’s Carvel. Best job ever! I hope to inspire people to be kind to others – a small gesture can make someone’s day. Parenthood, which has taught me to look at life through the lens of our children who inspire me to think differently. I like to clear my desk, place white paper in front of me and have black, red and blue fine-tipped markers at my disposal. I grew up in North Haledon, N.J., next door to my aunt, uncle and cousins. Extended family was always a part of the day. On our honeymoon, we traveled to Assisi, Italy, and stayed a stone’s throw from the monastery. Peace, serenity, and stillness surrounded us. It was profoundly beautiful. I like to see how far I can get on the Sunday New York Times crossword puzzle. I love to invite friends to join us for a casual dinner and spend the evening talking about everything and anything—or nothing at all. Coffee, preferably with chocolate chunks. Italy. Pasta and wine. What else does one need?